People complain that Kristen doesn&apos;t "make an effort" with her clothing choices (you know, the whole running shoes with a gown thing). But you can&apos;t say that about her makeup, now can you? 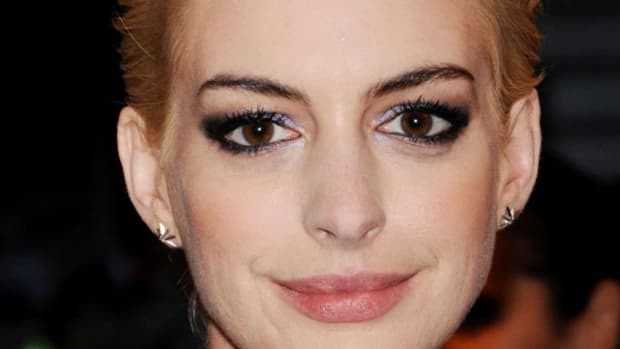 Over the last year or so, she&apos;s consistently been one of the best celebs for beauty risk-taking—like this smoky eye here with silver at the inner corners. Silver! It&apos;s not even trying to be subtle; the intense silver is what makes the look. See, Kristen succeeds where Ashley Tisdale fails. Whoa! This is Uma? I don&apos;t think I&apos;ve seen her work so many trends in one look, like EVER. We&apos;ve got a red lip, we&apos;ve got a black headband and we&apos;ve got a messy, braided halo adorning her updo. 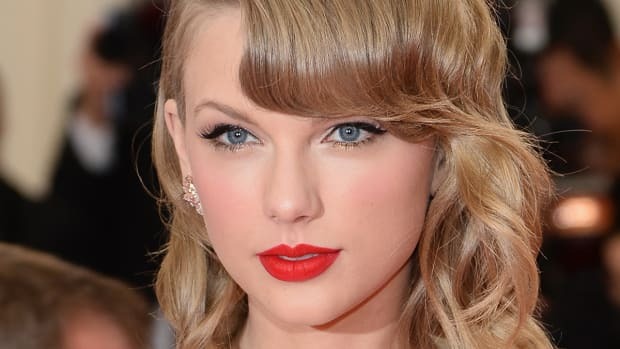 Her skin looks amaze, too, and that red lip really brings out her blue eyes. Also, is her hair colour slightly darker than usual? This one&apos;s my fave. There&apos;s something about the contrast of the freckles (which she wisely doesn&apos;t try to hide) with the &apos;60s eye makeup that I love so much. Doesn&apos;t looking at this make you want to copy this eyeliner immediately? It&apos;s a really nice, thick line—thicker than usual—with only the slightest wing at the end. Lips are completely bare (another cool contrast against the eyes) and the hair is all ladylike... except then there&apos;s some surprise edginess with the ear cuff. Well done, Gemma! Obviously Clémence belongs at a Chanel show. I mean, look at her! Peter Philips himself could have done her makeup. What I think is interesting here is the dewy texture of her skin set against the ever-so-slightly smudged, tightlined eyes. It&apos;s so very Chanel. And the hair! I don&apos;t know what&apos;s happening at the back, but I love the deep sweep across the forehead. Try it the next time you do a ponytail—it&apos;s so easy and pretty! Here&apos;s another example of effortless French style. (Although you kinda have to have this insanely flawless kind of skin to really work it. Will you look at her complexion?? Ridic.) Anyway, this look is all about the matching orangey lip and dress—in this case, matchy-matchy is a GOOD thing. The scraped-back hair and bare face (save for a few accent lashes at the outer corners) keep the focus on the colour story. I debated including Olivia here because I have real problems with whatever foundation/powder combo is sucking all the moisture out of her skin here... but I decided the eye is so good, I had to share. (So just ignore those crow&apos;s feet. I&apos;m positive it&apos;s a makeup-related side effect, because the same thing&apos;s happened to me when a Clé de Peau makeup artist once put the entire collection on my face at once and created wrinkles I didn&apos;t even have.) Anyway—this is a wicked strong smoky eye. There&apos;s shading well above the crease, and under the lower lashes, and some silvery highlighting on the inner lids. Normally I would never advocate wearing this much during daylight hours, but somehow, with the updo, I&apos;m okay with it. Brown eyes can usually handle so much more makeup than light ones... it&apos;s a fact. Holy hell, does yellow look good on Mena or what? If you are blonde, I strongly suggest investing in this shade so I can live vicariously through you. But we&apos;re meant to be talking about hair and makeup, right? I really like how Mena went for a Versace-esque look with kinda &apos;60s eyes, these ones with liner not just up top but also underneath. It&apos;s a little sexier and curvier an eye compared to Gemma&apos;s. And since Versace is all about being over the top, she paired it with a glossy peach lip and straight, centre-parted hair. I want to do this! 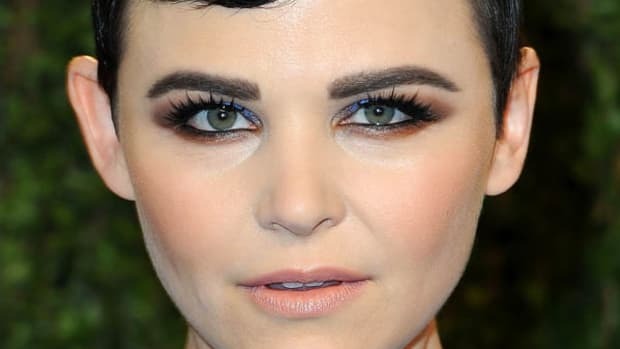 Emma is also looking very Versace here... but this time, the eyes are more all-over smoky and the hair is slicked right back. All the better to show off her gorgeous brows, perfect complexion and full lips. I do believe some false lashes were used here to emphasize her eyes... but with such a stark white dress, you kinda have to go big or go home. It&apos;s been a while since we&apos;ve seen Rose—and how about this matte red lip? It&apos;s an unusual choice for summer weather, when the instinct is to either go bare or with a bright pink or fuchsia... but I&apos;m into it. Again, it&apos;s that whole contrast thing, this time of the dressed-up lip with the fresh, bare skin. I&apos;m also really liking her lower lashes and how defined they are. Do you think she&apos;s using this? I was watching a Mission Impossible movie the other night, can&apos;t remember which one, but you&apos;d see a creepy-looking person and think "ugh" before they&apos;d later rip this waxy mask right off, revealing their actual (normal) face and hair. And I kind of wish that was the case with our Rihanna here... but sadly, I think this is all too real. Someone tell me why/how she is at a Chanel show? Which of these haute couture beauty looks is your fave? Who should be banned from the front row? Do you feel inspired to try &apos;60s liner? Matte red lipstick? Silver smokies? The newest Bond Girl is a MAJOR beauty chameleon.